Find your own flow of life with Ayano, C-IAYT, Phoenix Rising Yoga Therapist and Kripalu Yoga Teacher through a 21-day program to dive into mindful practices that support your life’s transitions. Investment: $120 early bird, register by April 20. $150 Registration after April 20. Are you in a transitional phase in your life and seeking support? Are you hoping to bring changes in your life and need more clarity? Phoenix Rising Yoga Therapy is a modality that brings yogic techniques, Buddhist philosophies and modern psychology to support access to your body’s inner wisdom. Over the course of this group program, based on Phoenix Rising Yoga Therapy, in a safe, supported and loving environment, you will learn to listen to your body to find your own flow of life. This group program will consist of 4 in-person gatherings which include movement, mindfulness meditation and sharing circle. There will be daily emails to offer tools to support your home practice through the course of 21 days. What we practice grows stronger. Engaging in daily email for a home practice is important as it creates a firm ground to build your own continuous practice. * Please note, refunds are not available for missed classes. Daily email will be sent to you even you miss a class. 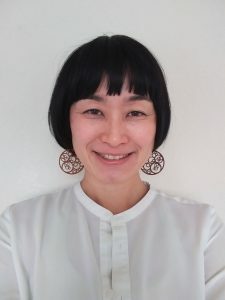 Ayano is a yoga therapist certified through International Association of Yoga Therapy (C-IAYT) and by Phoenix Rising School of Yoga Therapy (PRYT). 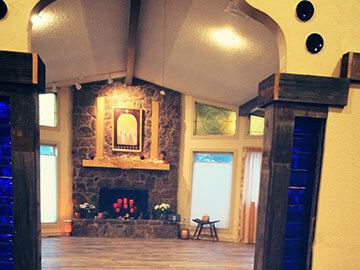 She is also a yoga teacher trained through Kripalu and Phoenix Rising with experience of Yin Yoga. She was born in Japan, grew up in multiple places in the world and currently lives in Manitou Springs, Colorado, right by majestic Pikes Peak. After working for a fast-paced IT company for 8+ years as a working mom in Tokyo, she was ready to explore what her soul truly calls for. Kripalu Yoga and Phoenix Rising Yoga Therapy have helped her to meet herself in different and deeper aspects and empowered her to live her life more fully. She is passionate about facilitating a space for people to explore their inner wisdom through embodied awareness.